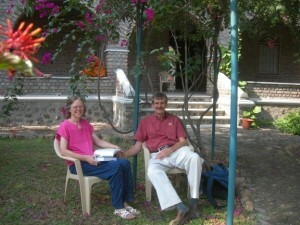 Miriam and I are back from our trip to India. Thanks so much to Elizabeth and Hettie for standing-in while we were in Meherabad! Actually it has been about a month since we got back. We thought that we did very well in not getting sick during our month in India, but, alas, I brought home an Indian infection that showed up a few days after we touched down and lasted until just this week! (a week of fever that about put me in the hospital, followed by very low energy, an outbreak of sores and fever blisters, boy was I ugly! I know TMI!) I am back to health and work now. Digging the grass up from the garden beds etc. Going to Cedar Rapids, IA for work on Monday. Miriam is back at work in her medical clinic in downtown Prague. Things are going slow for her as people in our small town are slowing learning that there is another doctor in town and that she does weird long term health (and alternative) medicine. Thursday was T day and Miriam’s B day both. We hung out in the Center Library smelling the turkey cook and Miriam is putting together her favorite jig saw (a round butterfly puzzle). Miriam made eight pies with her friend Jean on Wednesday; it looked like they had a really good time and the place smelled great! Pies were yummy too! Lynn Wilhite, Jean and her husband Randy all came for dinner. We had planned for pilgrims to come also so we had a huge turkey; but alas left overs. Fall is still wonderfully in progress here, sunny days, falling leaves and cooling nights. Prague is having its “Christmas in the Park” celebration tonight with hay rides and Christmas treats and cider from the church booths. It is nice to go over to the park (part of land donated to the city by Dr. Burleson) and meet neighbors and watch the kids enjoy it all. Miriam and Lynn really liked the draft horses that pulled the hay wagon last year. 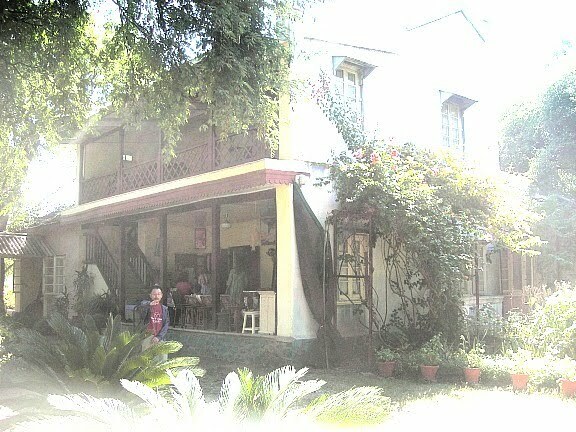 Also, we have room for pilgrims to spend time here during the Christmas/New Years holidays. We will be here and probably have another big fest meal to share!